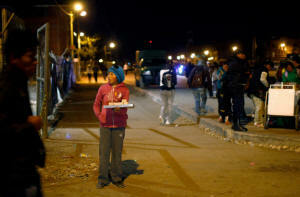 Home > Global > Bolivian law makes child labor legal for children as young as 10. Change was demanded by child workers in order to establish greater legal protections. Bolivian law makes child labor legal for children as young as 10. Change was demanded by child workers in order to establish greater legal protections. In the Bolivian city of El Alto on a recent day, youngsters shout out the destinations of departing buses to lure passengers.